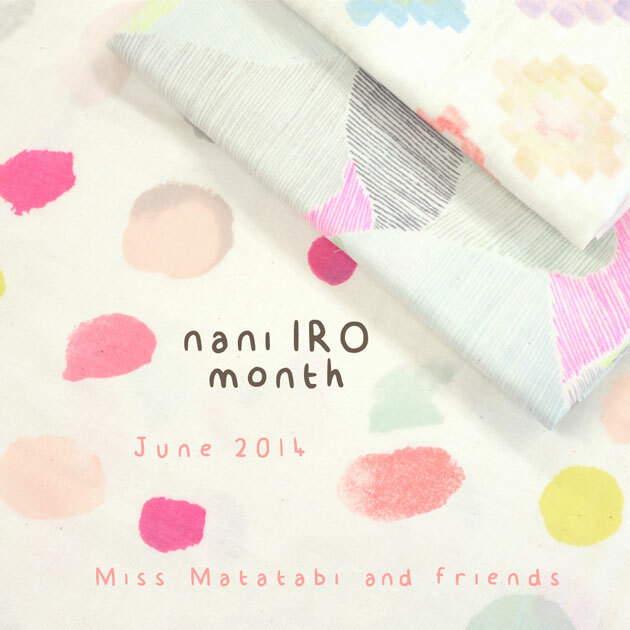 nani IRO month is going on strong around blogland and you can follow all the stops on the Miss Matatabi blog. The projects have all been SO AMAZING. I love seeing how each person has been using the already gorgeous fabrics to create such unique garments (and an amazing blanket). 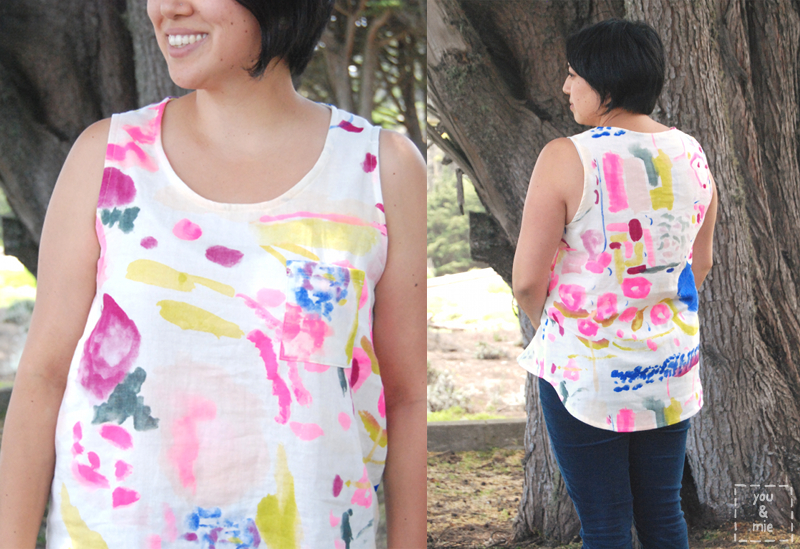 Today, I’m sharing another top I made for myself as part of the Miss Matatabi Makers series. 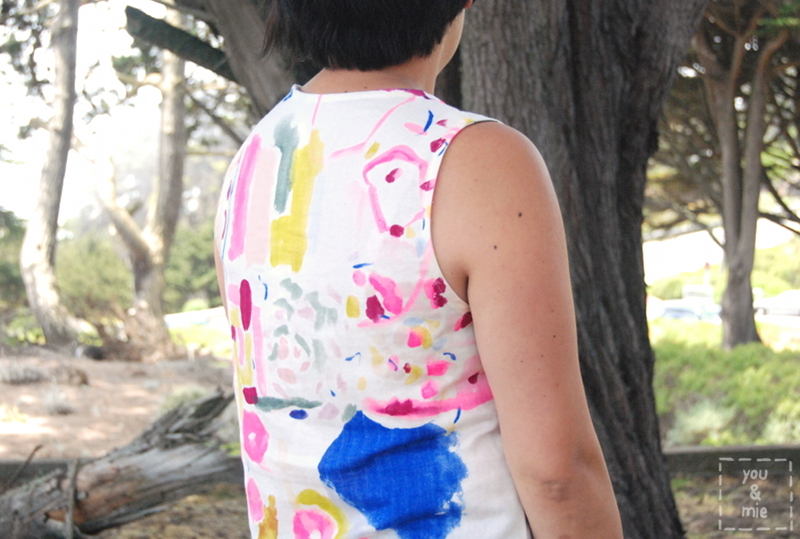 I used the Shine Many Ways – A print in sateen. Check it out here. 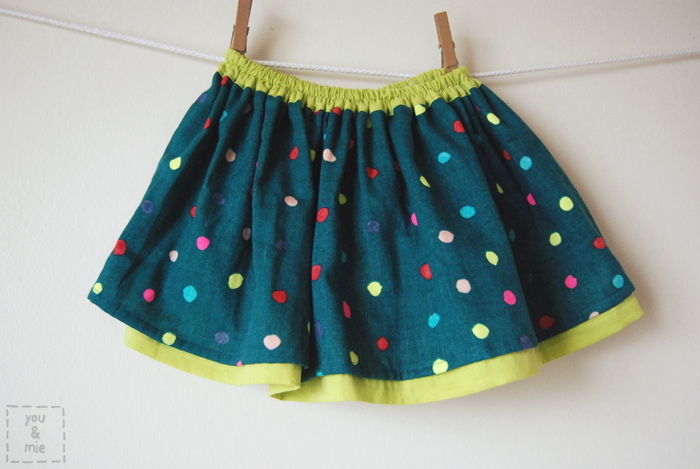 To tell you that I love nani IRO fabric is pretty much as high on the list as “I love sewing” on the ‘duh-that’s-obvious’ statements about me. 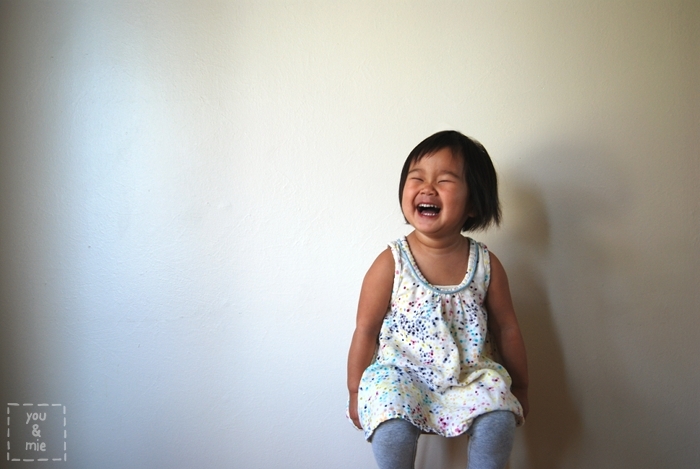 I love nani IRO and that really shouldn’t be a surprise to anyone who knows me. 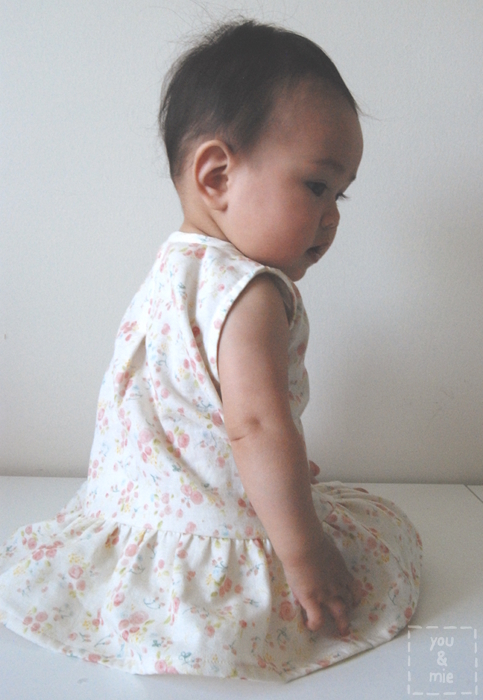 I found some nani IRO double gauze in my local fabric shop three years ago and I softly gasped at the beautiful painted flowers, then I sharply inhaled at the price, but then slowly sighed when I felt how soft and luxurious the double gauze was. And I haven’t looked back since! 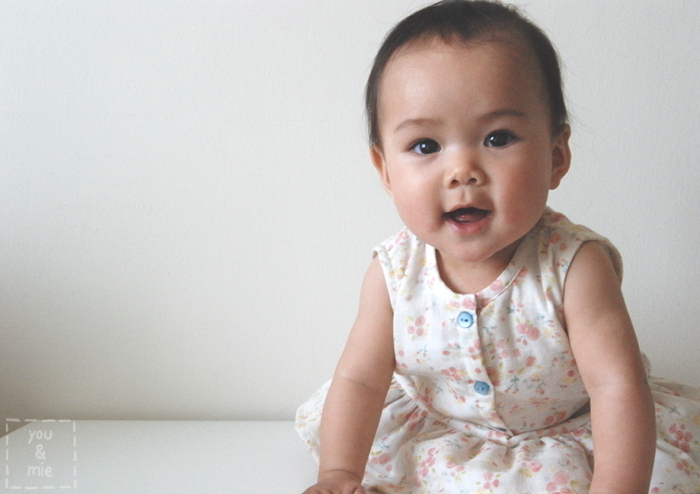 nani IRO is designed by Japanese artist, Naomi Ito. 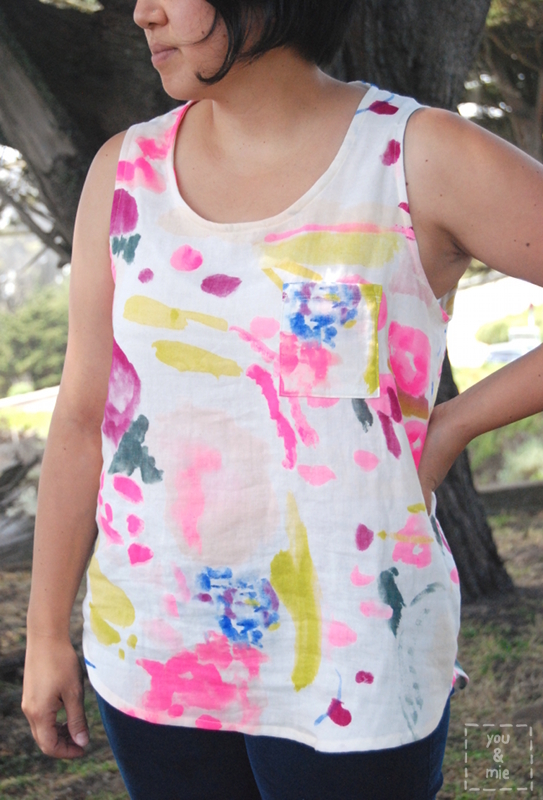 I love the unique hand painted designs and the high quality fabric. It’s really like nothing else out there. 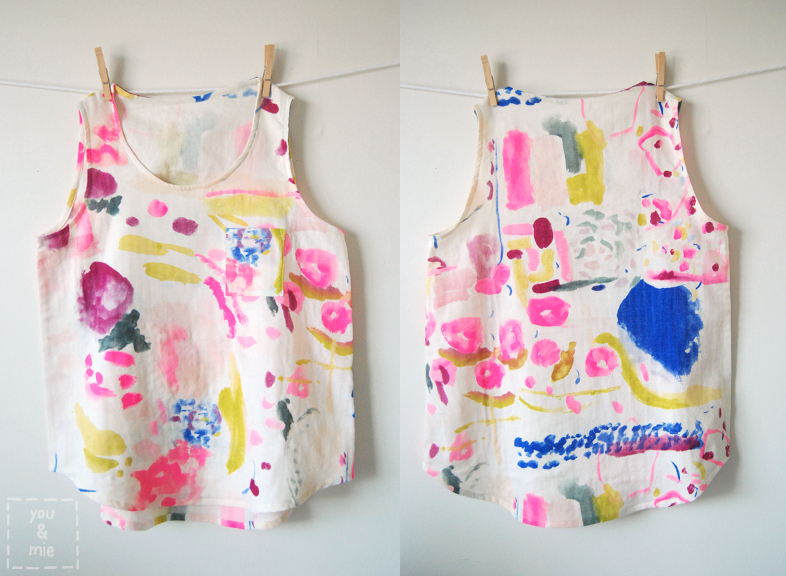 I decided to go through and find my old nani IRO projects and round them up for you . 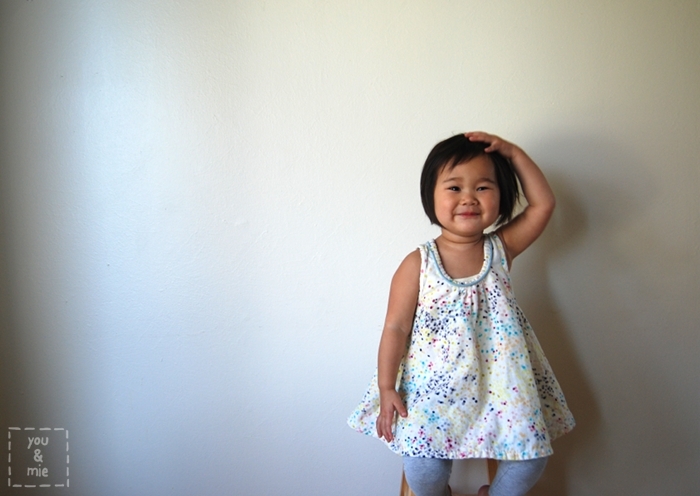 . .
Nani IRO fabric isn’t cheap. Before, I loved the way it looked, but could really only afford to buy little pieces, which is why it was easier to sew things for a kid, or use it for an accessory. But after a while, I realized that even though I’d have to spend a lot of money buying several yards of fabric to cover my adult body, it would still be totally worth it. 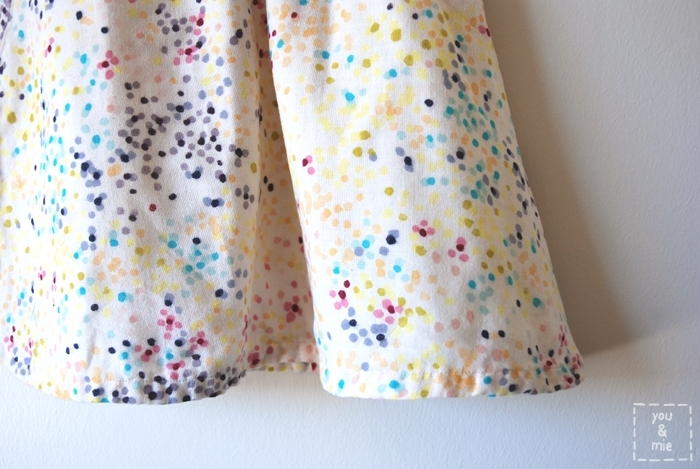 I appreciate this fabric and will wear it a billion times more than my toddler ever will. 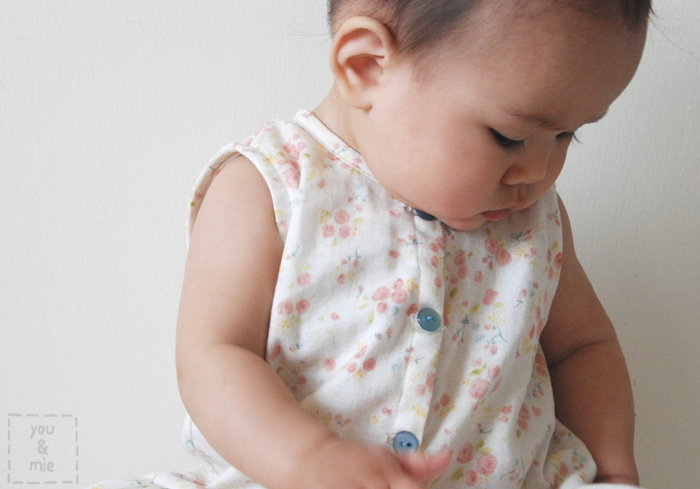 I spend the time, effort ,and money to make the garments – why shouldn’t I get to enjoy it? So then I decided ALL THE NANI IRO FOR ME! Haha, just kidding. But you know, I deserve nani IRO, and I think that you do too . . . 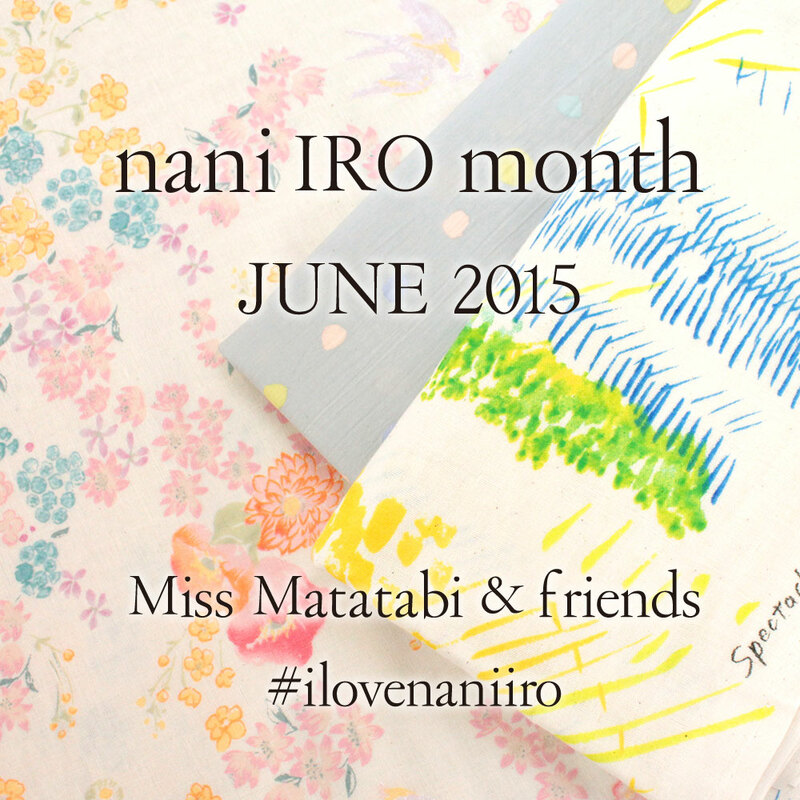 The month of June has officially been named “nani IRO month” by Frances of Miss Matatabi. 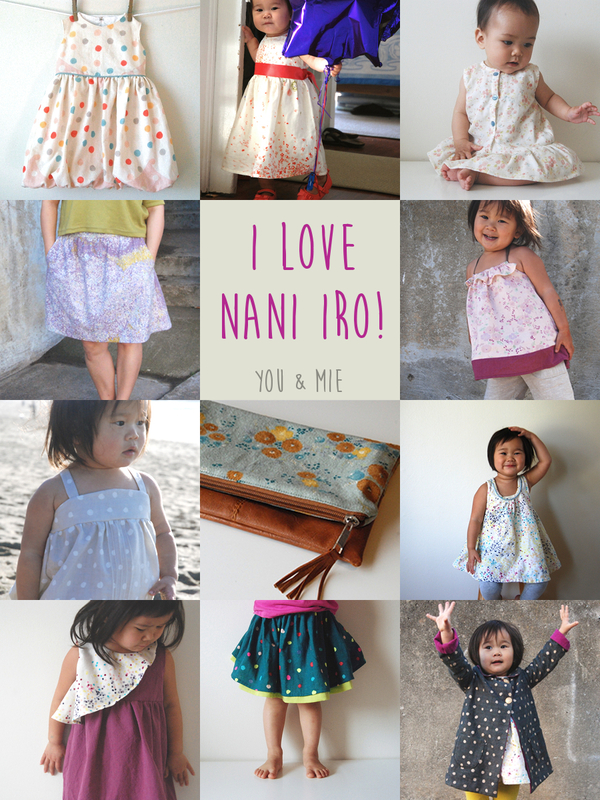 She’s asked some of her friends to help her showcase the latest collection of nani IRO fabric and I’m pretty sure we all just JUMPED at the opportunity. Be sure to check out her blog for all the latest projects being shared throughout the month. For my first project, I chose a really unique fabric called Freedom Garden (A – France) and decided I wanted to sew something for me. It is double gauze and comes in three colorways and the design is kinda crazy and out of control, but in a beautiful way. I went back and forth about it – can I pull it off? What would I make with it? Is it too crazy? I asked people on Facebook and Instagram what they thought I should make and I got some reeeally great suggestions. But in the end, I decided to make a good ol Wiksten Tank. I knew that this would, by far, get the most wear and I am in need of some basic tanks and tees for the summer and as I transition back to work. Sure, I could have made a special dress, but honestly, I just don’t wear dresses very often. This tank, on the other hand, I’ll reach for again and again. LOOK AT THIS FABRIC! It’s like Naomi Ito just went all craaaaaazy with her paints! I felt like I was sewing and wearing some modern art. Should this be a museum exhibit? 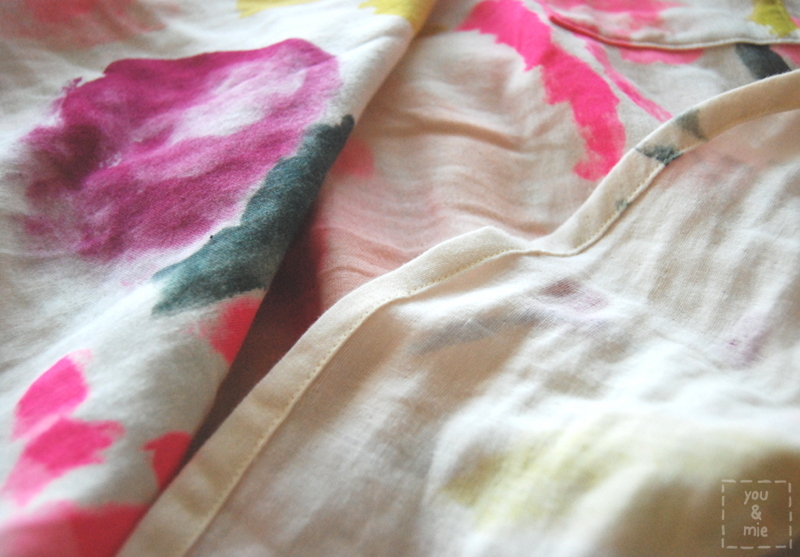 I love the variety of both bold and subtle colors in this fabric. And the interesting variety of brush strokes. Double gauze is dreamy fabric. It’s soft and airy, it’s comfortable and breathable. It’s lovely to sew with too. The only things to look out for is that because it’s a looser woven fabric, it can stretch out when sewing curves. And it can get wrinkly when it’s worn/washed. But I still love it. It just feels soooo nice. 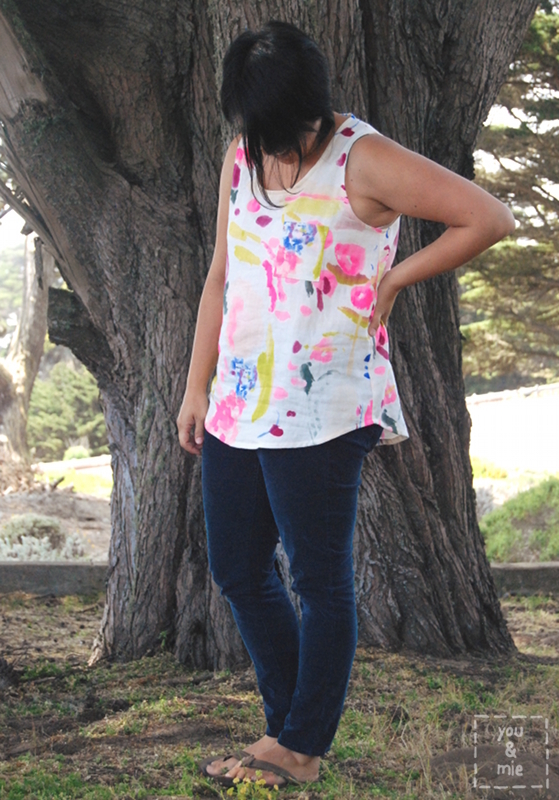 I’ve made the Wiksten Tank before and I really like the fit. It’s perfect up top and then conveniently covers my mid-section. I did make a couple of slight modifications to the pattern. I lengthened the tank by a 1/2 inch for just a little extra coverage. I also raised the neckline by about 2 inches, because as much as I like the look of the original neckline, it was always just a little too revealing and I felt uncomfortable at work since I’m constantly bending over to work with young kids. 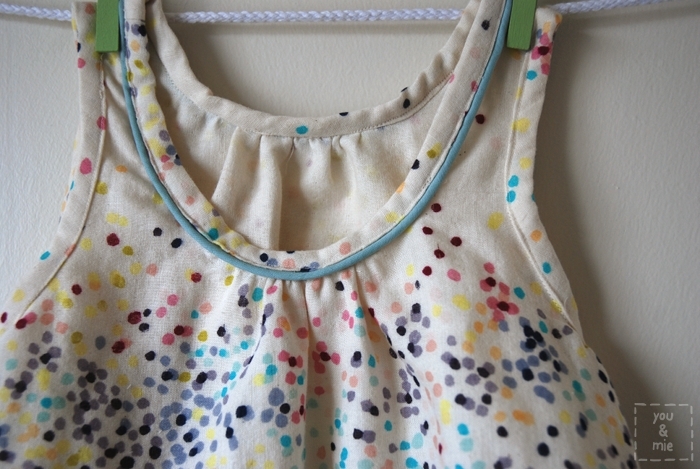 Since I noticed a little gaping at the neckline in the back with my previous Wiksten, I made the same alteration as Rae did to decrease that, except I only moved the pattern over by 1/2 an inch, instead of a full inch. Worked fine for me. 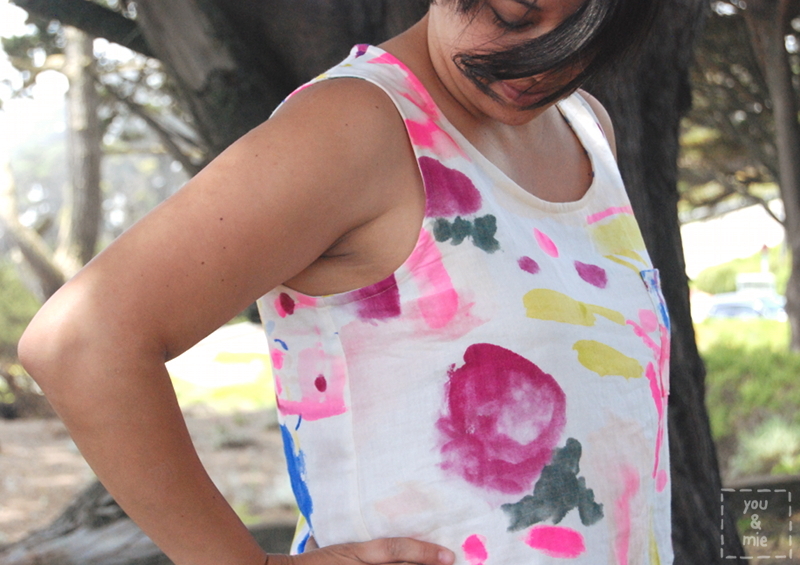 Today I’m sharing a tutorial on the Oliver + S blog on how to alter a shirt pattern with sleeves to a sleeveless shirt! 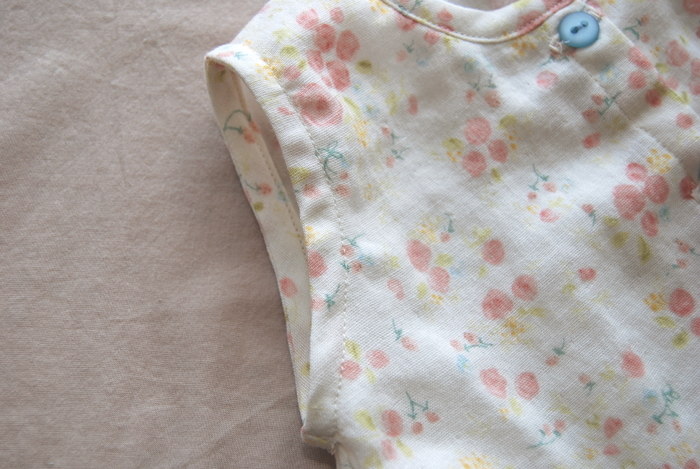 I modified the Lullaby Layette Shirt pattern for the tutorial, but you can use this method for pretty much any pattern. Head over to Oliver + S to check out the full tutorial! 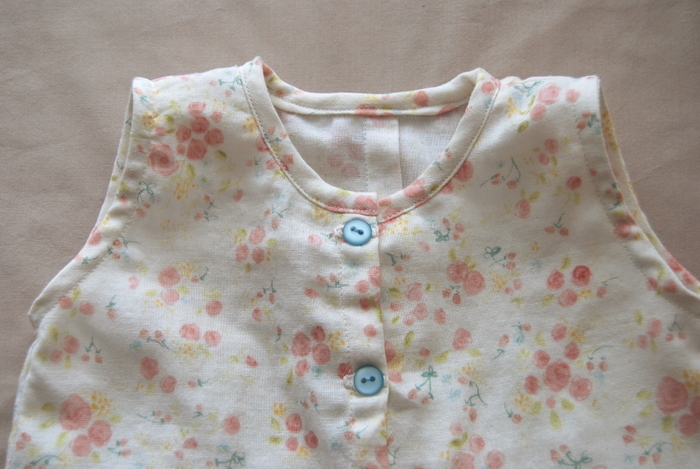 I made the Lullaby Layette Shirt pattern (View B in the 3-6 month size), but I made a few modifications. 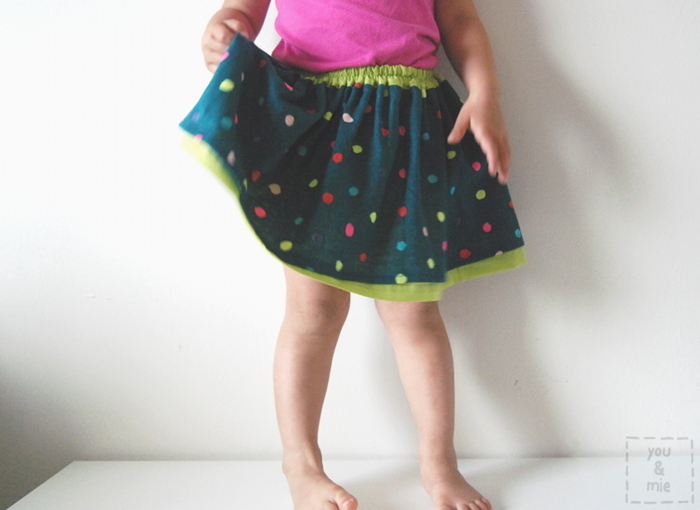 Besides making it sleeveless, I decided to add a little gathered skirt. 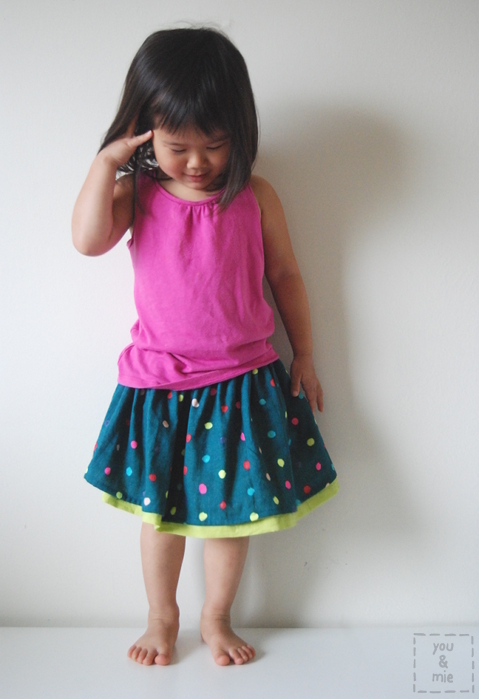 It was actually supposed to be more of a peplum top, but I made the skirt so long that it became a dress! But that’s ok, I think this will actually fit her for awhile! Before adding the skirt, I shortened the bodice by a couple of inches and also took the sides in a bit, so it was less A-line. I was too nervous to add snaps to this amazing fabric (the chances of me messing up and tearing a hole in the fabric was too high), plus there’s something so sweet and more vintage-y about buttons, so I went with these light blue ones. I think I made the right call. This fabric! It was a gift from my good friend, Frances, AKA Miss Matatabi. It’s a nani IRO double gauze and it says “Fuwari Fuwari” on the selvage, but I didn’t recognize it, so I knew it must be older than a couple years. Well after I cut into it I asked Frances about it and it turns out it’s a super rare print from 2006! 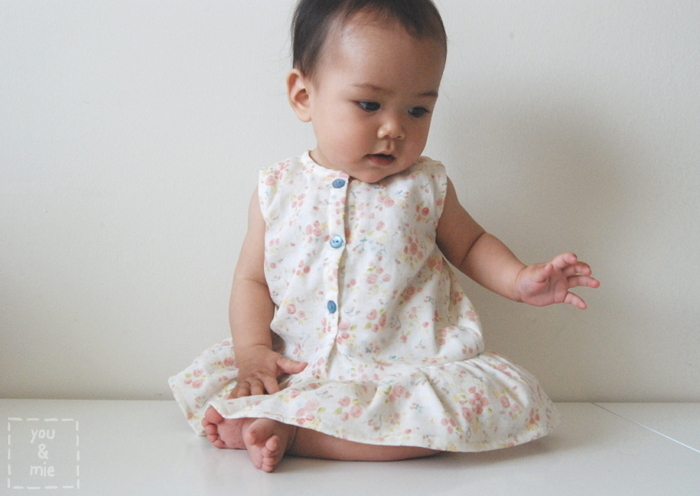 VINTAGE NANI IRO (yes, 2006 is vintage when it comes to a fabric line). I suddenly felt mortified that I had just cut into it! But Frances said that it was probably a good thing that I was able to use the fabric without the pressure of having to create something “worthy,” and I think she’s right. 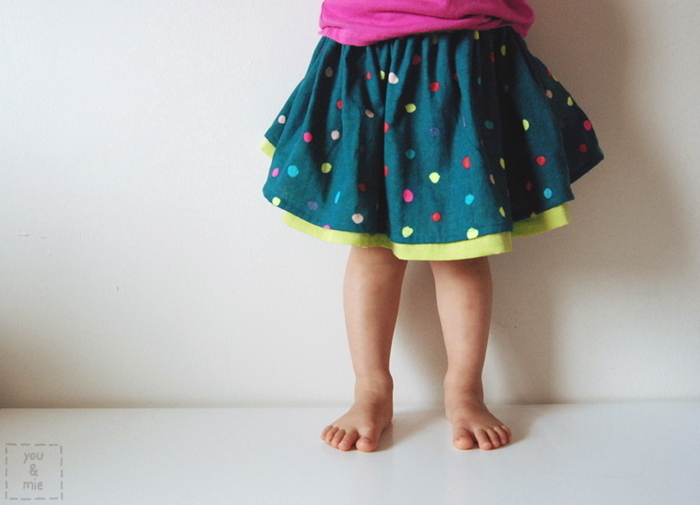 This fabric probably would have sat in my stash forever and ever, and at least this way it was used to make something special for my daughter and maybe someday it’ll get passed on or something. Random question – do you save your handmades? When they are outgrown, do you give them away? Store them? Toss them? In other news, Kaya is getting harder and harder to photograph. 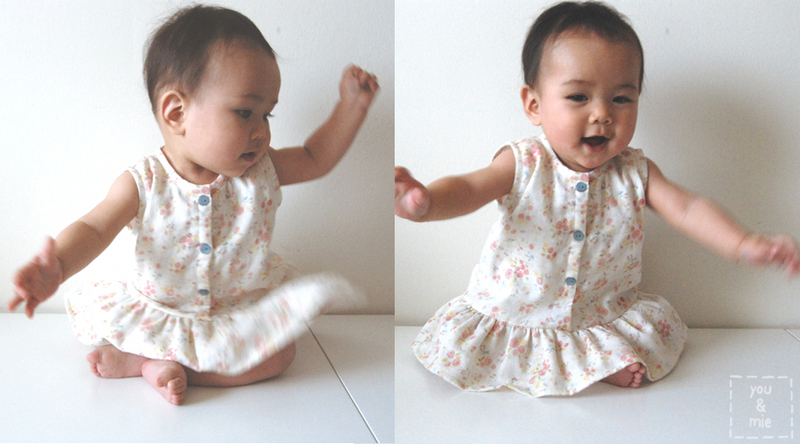 That window of time when she could sit up, but not move has been too brief. She’s already getting ready to crawl and I can barely get her to sit still for a few seconds. Oh boy! 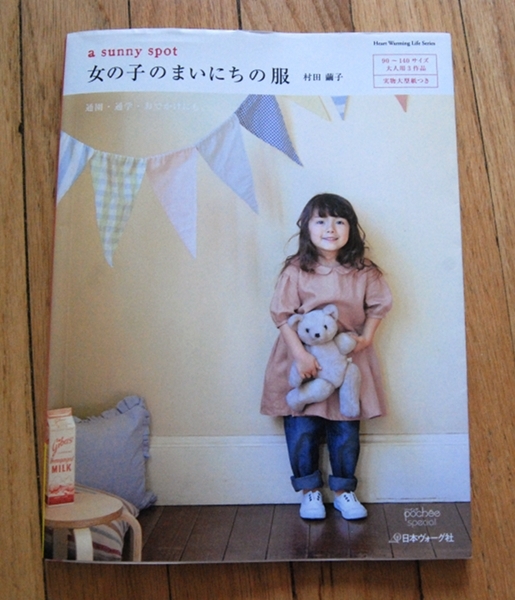 I made my very first sewing project from a Japanese sewing book back in August from the book a sunny spot 女の子のまいにちの服 (Every day clothes for girls). 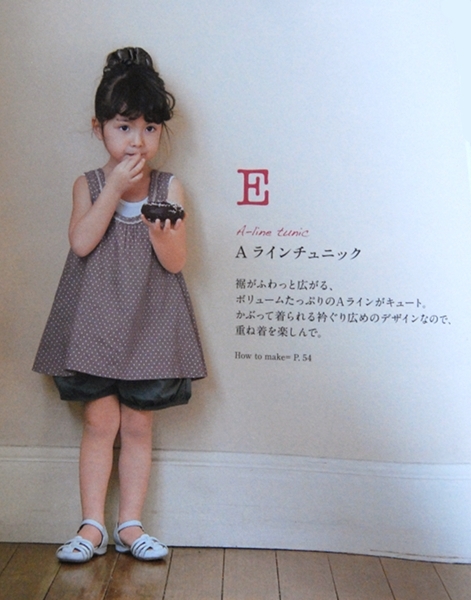 When I was in Japan over the summer, I picked up a couple of pattern books including this one. 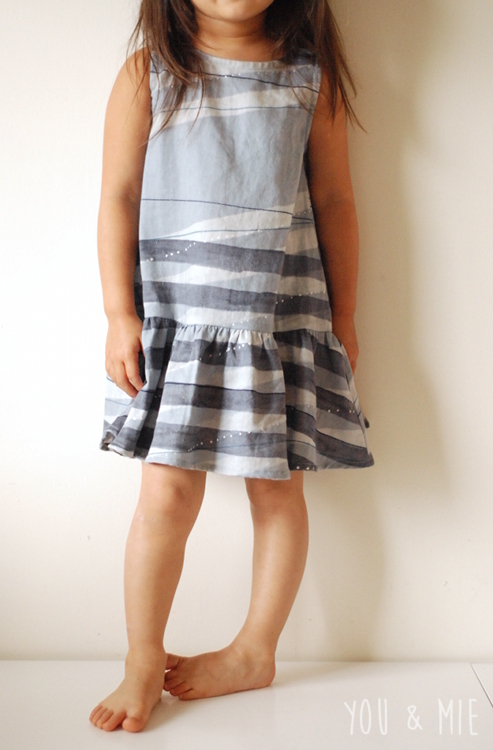 It has a lot of simple but cute, very feminine outfits for little girls. 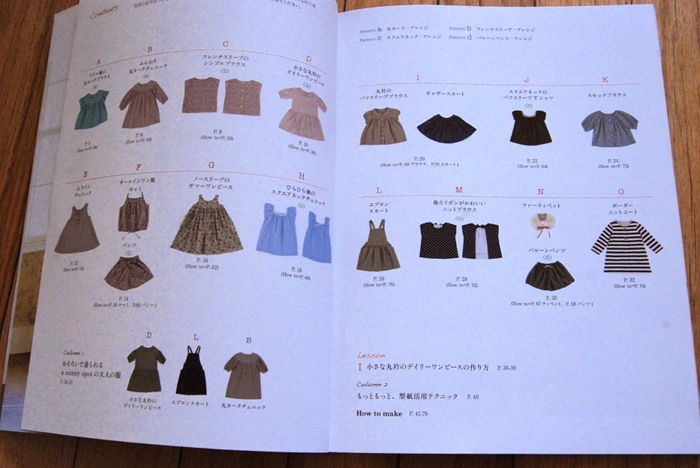 If you’d like to see more pictures from the book, Japanese Sewing Books has a thorough book review here. 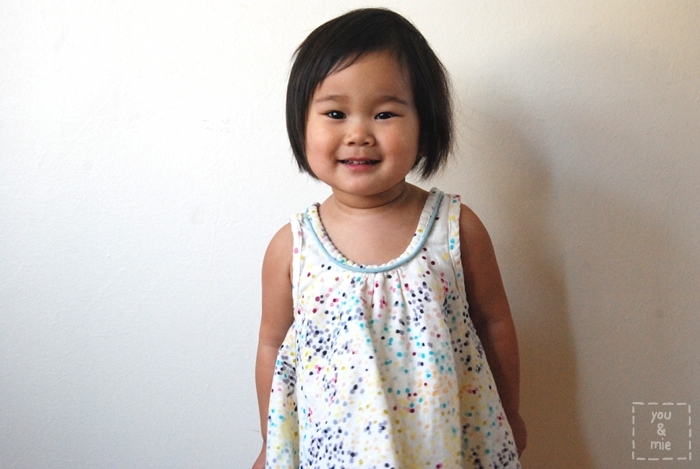 When I decided to sew up my first project, I picked the cute “A-line tunic” because it is adorable but also a super simple sew. Even though I couldn’t understand the Japanese directions, I could easily tell how it was constructed by looking at the diagrams. It is just two pieces (front and back) plus bias for the neck and arm holes. 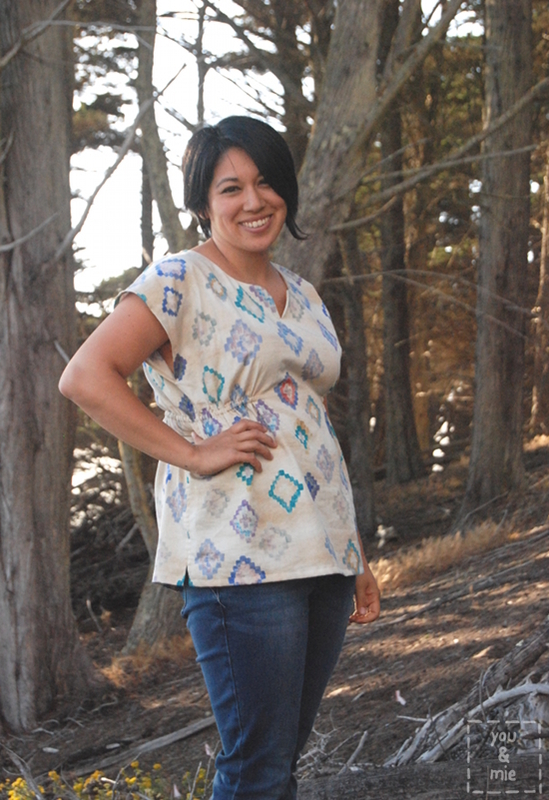 Add some gathers and lace or piping along the neckline and you’ve got a sweet and twirly little tunic. I highly recommend this as a starting project for newbies to Japanese patterns! Of course, I didn’t realize at the time that the book’s smallest pattern size was still too big for Yuki. Oops. I used this double gauze Nani Iro Melody Sketch that I picked up in Japan and it is probably one of my favorite fabrics ever!! I think it’s so puuuurty. It’s from an older line, so it’s harder to find, but it looks like there is still some available here. 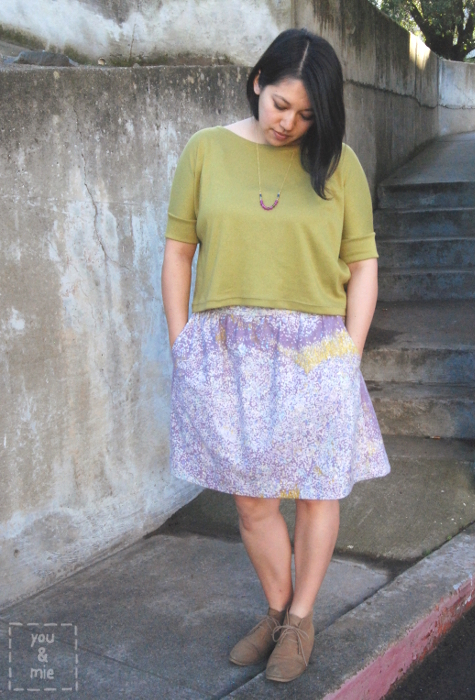 Double gauze is really lightweight, so it hangs really nicely and it’s a perfect top for warm weather. Well it’s finally starting to fit her and I think it’s one of our favorite tops now. Again, it was definitely a manageable project for a first timer. The hardest part for me was finding the pattern pieces I needed on the pattern sheet. If you’re interested in purchasing this book, you can find it on Amazon, Etsy, or Kinokuniya. 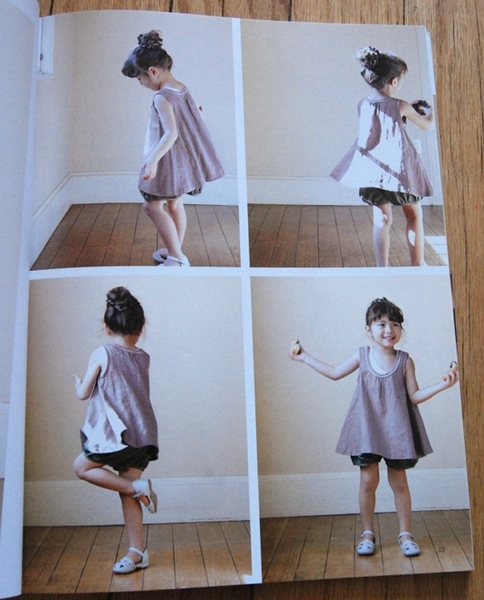 I have one more top that I’ve made from this book to share with you later this week. 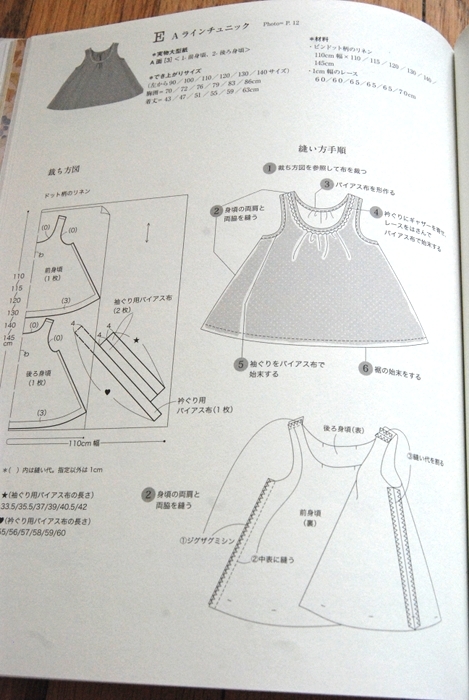 But until then, I wanted to make sure you all knew about this great resource for sewing from Japanese sewing books. It’s called Japanese Sewing Books! 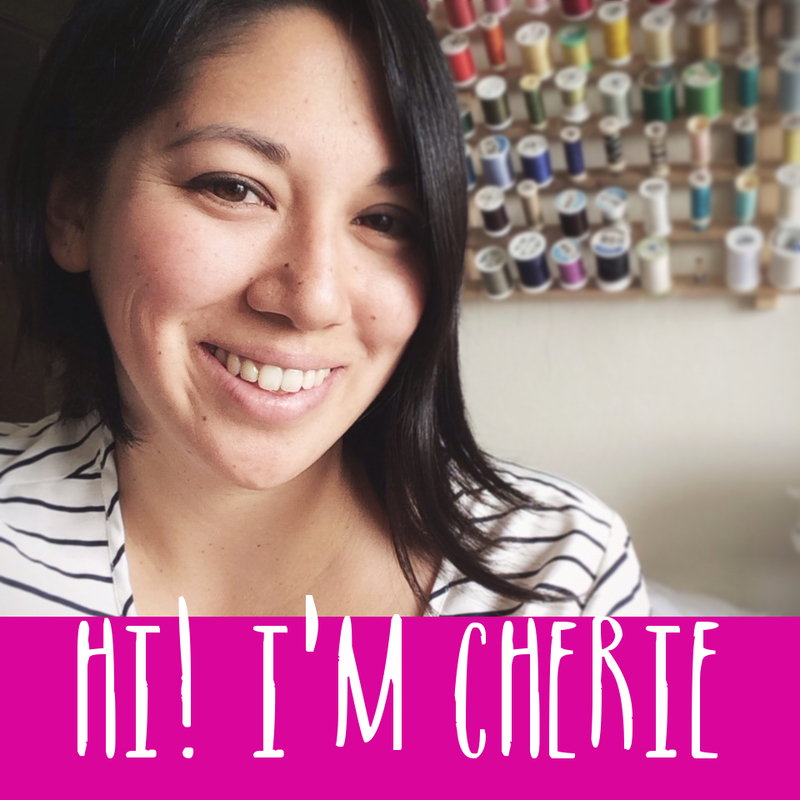 You really should check out her site for a dictionary of sewing terms, help with understanding patterns, plus translations, book reviews, free patterns and sew alongs. It really is a fantastic starting point if you’re a beginner to Japanese patterns and between that site and the Japanese Sewing Book Series here next week, you’ll hopefully be ready to tackle those patterns with confidence! 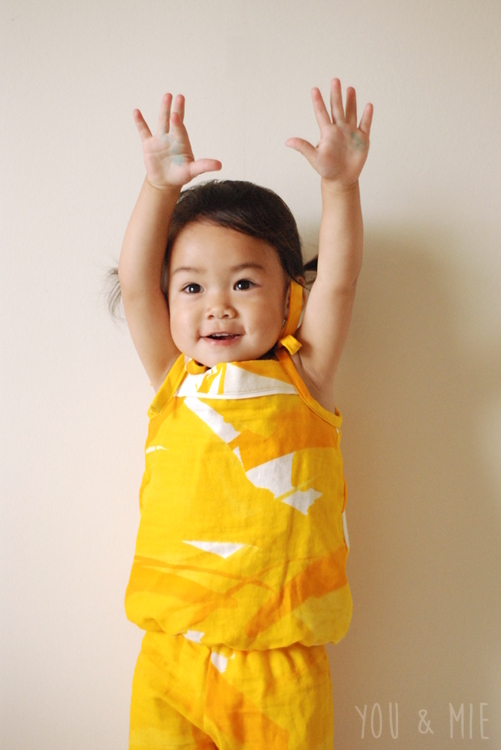 I’ve loved seeing all the projects that you guys have sewn up from Japanese sewing books. Please keep sharing your links with me – they are very inspirational! Until next time!